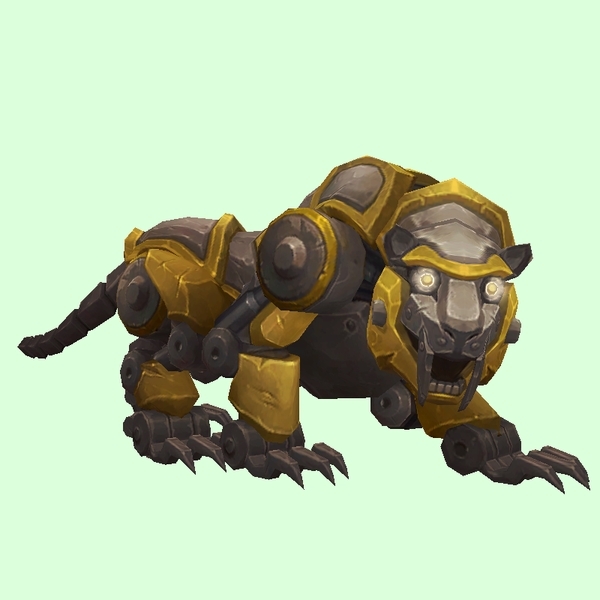 Located in a cave in the large island north-west of Seeker's Vista, this mechanical tiger is only rarely tameable. Each time the World Quest Sabertron is available there is a chance this unit will be activated after killing the Sabertron Technician. The probability is probably one-in-four per event, given that there are four rarely-available Sabertrons in the cave. The fifth colour, red-black can be activated and tamed all the time.